Be the first to one. Aa Naluguru is a 2004 Indian Telugu social, drama film released on Dec 09, 2004. The film is directed by Chandra Siddarth, produced by P Prem Kumar under banner named Prem Movies. Raghu Ramayya (Rajendra Prasad) is a kind hearted idealistic person who spends half of his income on charity work. His wife Bharati (Amani), two sons Chinna and Raja and daughter Revathi are quite against this attitude. His children compel him to get money for their career (bribe for job), education (donation fee for engineering seat) and settling in United States which he feels is completely wrong. 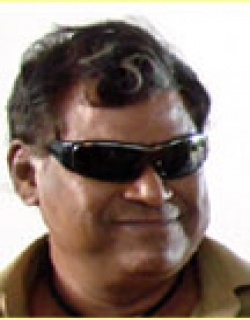 He is forced to keep aside his morality and get loan from Kotayya (Kota Srinivasa Rao). Unable to bear the defeat of his ideology and moral issues, he commits suicide the very day he gives money to his children. Rest of film is about how his children and wife realise about greatness of the person as they perform final rituals of his death. atlast every one had realised that after death only love and affection will come with us so love the people and society Check out this page for more updates on Aa Naluguru. No User Reviews for this movie yet. Be the first one to review! This page provides latest and updated information about Aa Naluguru (2004) movie which released on Dec 09, 2004. Aa Naluguru (2004) is directed by , produced by , starring .We have also provided 0 trailers and videos, 2 photos, 0 user reviews, and 0 critic reviews.You can review, like, dislike this movie and also can add to favorites. You can also find information on showtimes, CDs, DVDs, online rental, online free watching.